Have you ever clicked onto a website and just felt like the company just "nailed" your style? When you want one of everything? That's how I feel about ever.mi+crush. It's equal parts pretty, vintage inspired, modern, affordable and feminine. The styles you'll find at ever.mi+crush are just precious and so are the people behind it. We started ever+mi.crush, a vintage infused online boutique 6 months ago, and it's been a fun and challenging ride! Our passion is our two little boys Everett & Miles - (it's all in the name!) Vintage style, art, music and all things creative! I have always loved to shop, and enjoyed playing around with style and fashion. On our first date Peter gave me a vintage brooch from a local antique shop... he was definitely a man who paid close attention to detail and aesthetics in fashion, a pleasant surprise! Together, we make an awesome team, searching high and low for the perfect pieces for your closet is a group effort, done with lots of love! and our goal is to sell high quality and creative pieces, but at a price you can afford. OSJ10EMC will score you 10% off your entire purchase! I love the Amy Bee Skirt! I love the TROMP L'OEIL DRESS. Great color blocking! I love the sun bright a-line dress! I love the francesca top by darling...and all the darling tops! I love the Monet Fluro floral dress!! I love the flocked birds skirt. So cute! 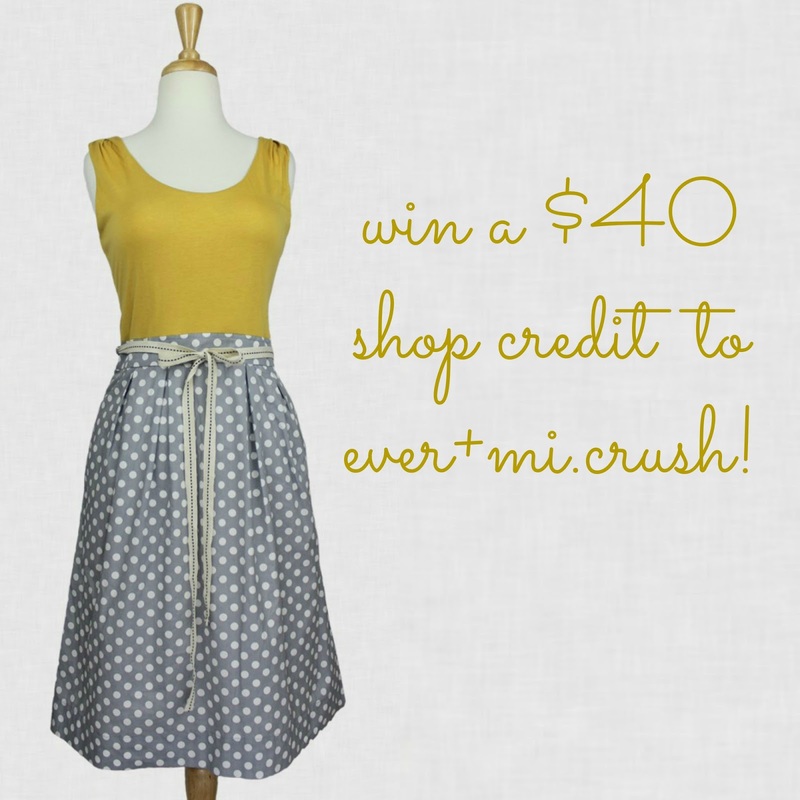 I love the Lemonade Stand Polka Dot Dress! The Lemonade Stand Polka Dot dress is so cute! i love the maritime dress! I love the perfect summer maxi skirt! I love the sunkissed ankle jean! The MUSEUM HOP POLKA DOT DRESS is darling! I love the SUMMER FESTIVAL TIE BACK TOP! Love the pink and grey striped dress! Love the museum hop polka dot dress! love the SIMPLE INDULGENCE TOP! I love the FAST FORWARD BANGLE... its beautiful!! Love the lemonade stand polka dot dress, and congrats on baby boy! I love the Easy Street Frock! The colors are perfect for summer. I LOVE the Sun Bright A-Line Dress. I would seriously wear this everyday. Oh man.. I'm crazy about everything! http://evermicrush.com/dresses/brighton-dress-by-dear-creatures.html this one has got me big time!! Poetry in Motion purse in plum = knockout! I'm loving the Amy Bee skirt! Love the fabric print! I love the sweet as can be top and summer maxi! Cutest shop name ever! I love the flower market top for springtime. The Brunch Time Belle dress, YES PLEASE!! I love the lemonade stand polka dot dress!!! the monet fluro dress is lovely! so is the eyes on me skirt! I´d choose the http://evermicrush.com/outerwear/french-toast-coat-with-waist-tie-by-tulle.html french toast coat and pay the extra money! I love the sweet bouquet dress. I love the Interlaced top and the Natalie blouse! i love the flower market top and the air of romance top! I really love the Brunch Time Belle Dress, as well as the one in the photo above (but, I couldn't find the name of that one!). Love those yellows/grays/blues! 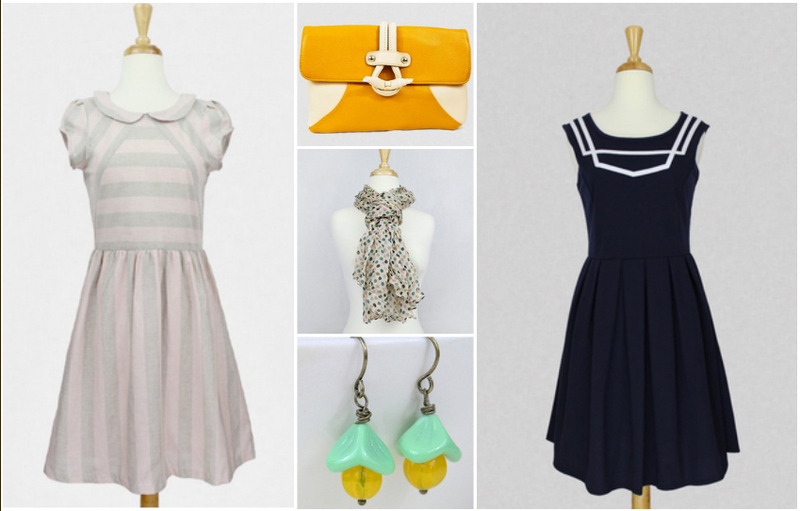 I love the it's maritime dress and sweet bouquet dress! Loooove the Serene Waters colourblock dress! Love the Emerald City blouse and the Short Hand skirt! I love the It's Maritime Dress! The Lemonade Stand Polka Dot Dress is adorable too. I love the Sweet Sugarplum Tunic Dress.